Are you looking for a hotel located in a beautiful environment close to the historical centre of Breda? We are easily accessible via the A16 highway and we offer free parking. Tip: Hire bicycles to discover Breda and its surroundings in a different way. 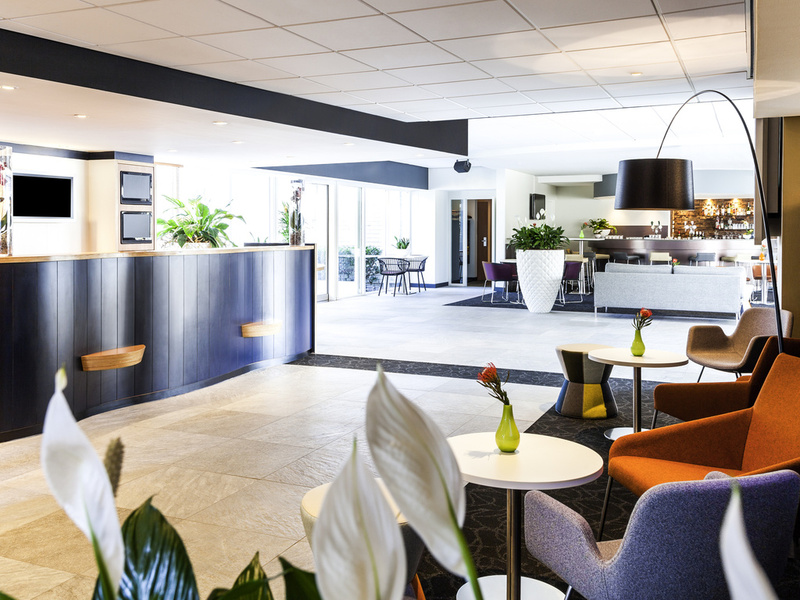 In a quiet location not far from the Belgian border, near the A16 highway and Mastbos woods, you can find the family friendly hotel Novotel Breda. The rooms are modern and spacious with air conditioning, a minibar and TV. Furthermore, our hotel features meeting rooms, relaxation areas and a garden with a terrace and swimming pool. The lobby and restaurant were renovated in 2014. Hotel rooms in 2018 . Whether you are visiting for business or with your family, you will quickly feel at home at Novotel. The spacious rooms at the Novotel are furnished in a contemporary style with a flexible layout. They are enjoyable to stay in and will meet all your requirements. In addition, all rooms have climate control. We treat your children as our VIP guests. Accommodation and breakfast are free of charge for two children up to 16 years of age when sharing a room with their parents or grandparents. BRGRS N STEAKS is the beating heart of our hotel; a meeting point and a great place to relax. Our menu reflects the diversity of the city of Breda, with seasonal suggestions, international classics and locally sourced dishes. The bar is a meeting place in the Novotel Breda that offers a combination of international cuisine and more traditional snacks. The Bar has a relaxing atmosphere where you can meet friends and colleagues and use the WIFI and wireless printing. Dear guest. Thank you for writing this review. We are happy to read that you enjoyed the room and the service of our staff. We hope to welcome you again soon at Novotel Breda. With kind regards, Denise, Guest relations coördinator.